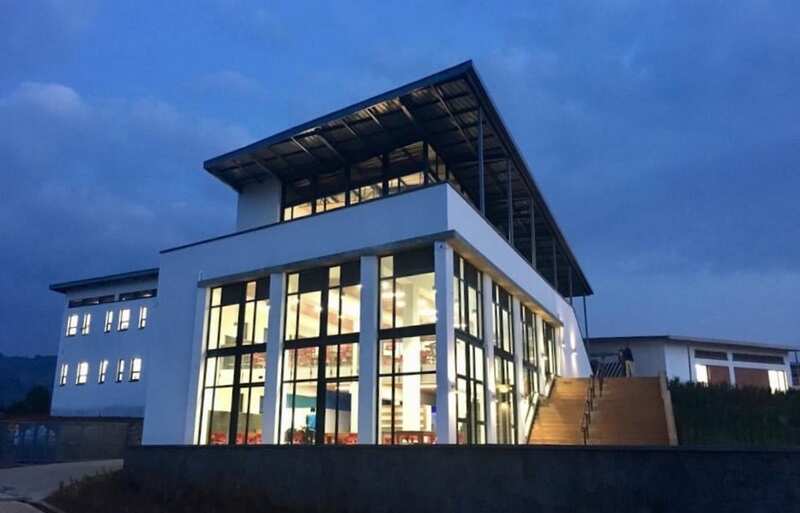 UGHE's administration building casts a warm glow at twilight in January 2019, in Butaro, northern Rwanda, just days before the formal opening of the new campus. (All photos courtesy of the University of Global Health Equity). 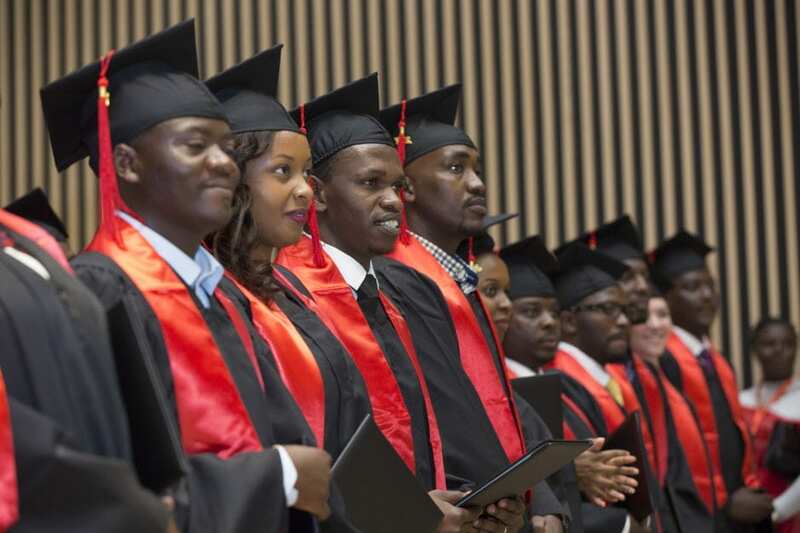 The University of Global Health Equity (UGHE) will be celebrating so much more than a new campus at its landmark Jan. 25 inauguration in northern Rwanda. 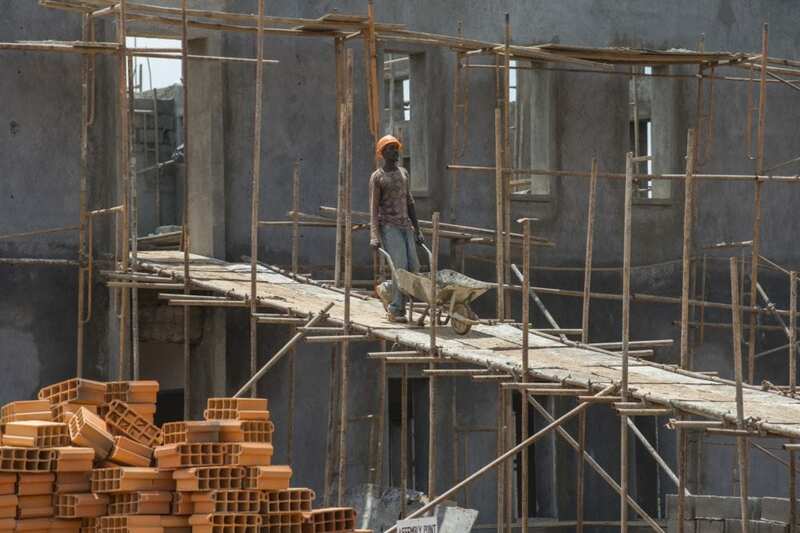 Construction progresses on the UGHE campus in March 2018. More than 1,000 workers joined the construction crew over the two-year building process. 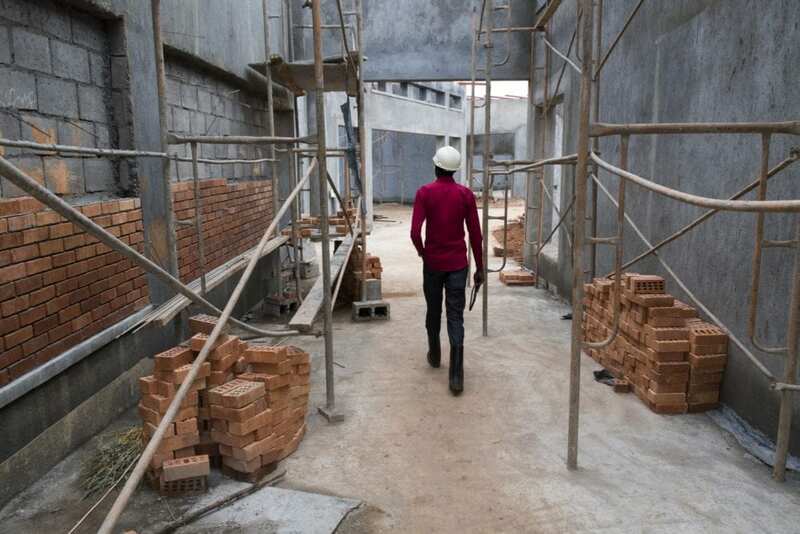 Buildings continue to take shape in March 2018 on the UGHE campus, which includes a dining hall, six academic buildings, housing for 200 students and staff, and more. Beautiful views abound on the UGHE campus, in the green hills of the rural Butaro region in northern Rwanda. 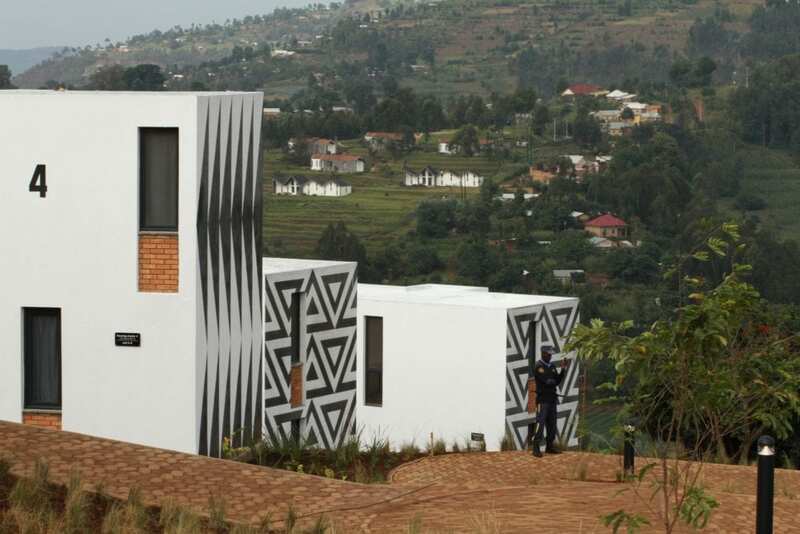 Many buildings are adorned with geometric designs, in traditional Rwandan patterns known as imigongo. UGHE's campus greets a new day in January 2019. Leaders from the university, the Government of Rwanda, Partners In Health and academic institutions around the world will gather on the campus Jan. 25 for a formal inauguration. Article originally posted on pih.org. Donate today to help PIH Canada continue to expand medical education to train and support the next generation of global health leaders. See how PIH Canada is supporting the first emergency medicine residency in Haiti.